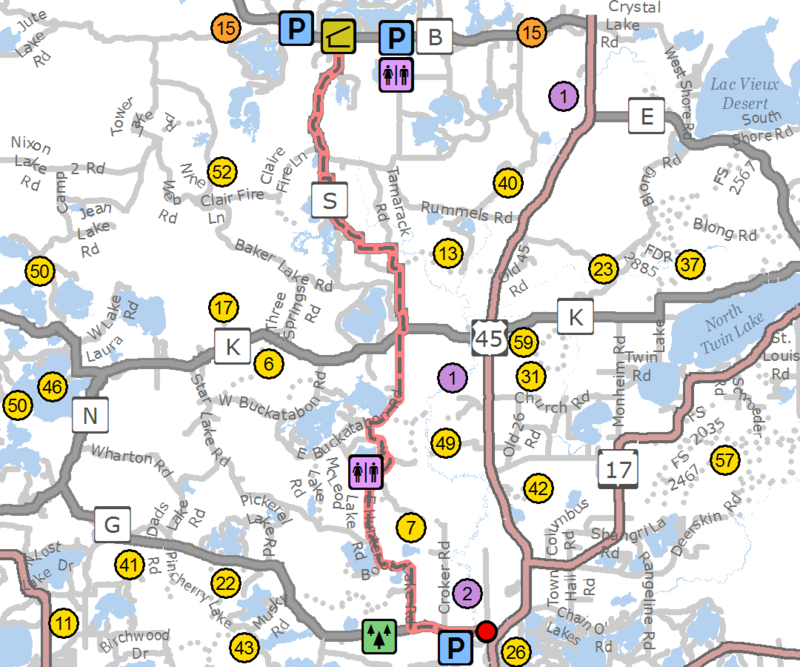 Location: From the intersection of Highway 45 and County Highway G on the north side of Eagle River, continue west on County Highway G approximately .3 mile to Adams Road and a parking area (Oldfield Park) on the south side of Highway G.
This 22 mile route connects Eagle River with the Land O’Lakes Bike Trail in Land O’Lakes. The route follows quiet forested roads and lakes along the way. The ride is relatively easy with some gentle hills. There is an opportunity for food and rest about halfway along the route. Parking is available at the Eagle River end of the route.